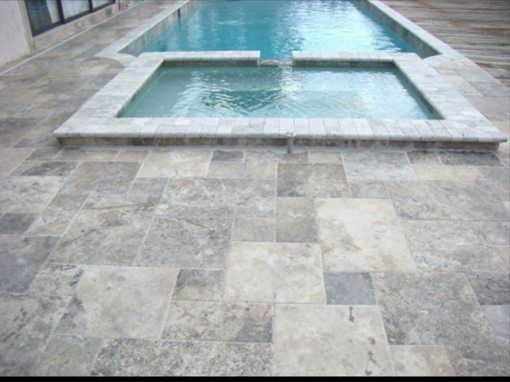 NOCE TRAVERTINE BULLNOSE POOL COPING. UNFILLED AND TUMBLED BULLNOSE POOL COPING. PRICE FROM $26 EA PIECE. SALE NOW ON.